integral to the creation of NHMA. 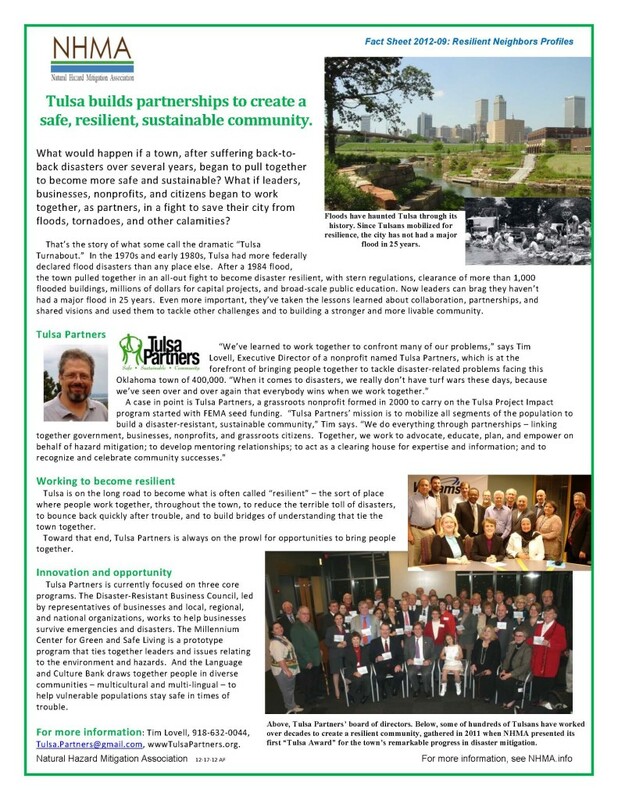 NHNA member from Tulsa Teamwork…it’s the way to get things done. That’s the vision behind a new Oklahoma coalition named Silver Jackets. 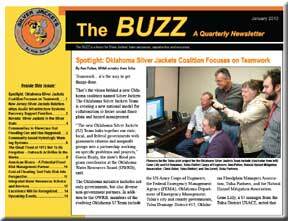 The Oklahoma Silver Jackets Team is creating a new national model for collaboration to foster sound floodplain and hazard management. The new Oklahoma Silver Jackets (SJ) Team links together our state, local, and federal governments with grassroots citizens and nonprofit groups into a partnership working on specific problems and projects, Gavin Brady, the state’s flood program coordinator at the Oklahoma Water Resources Board (OWRB),said. The Oklahoma initiative includes not only governments, but also diverse non-government partners. 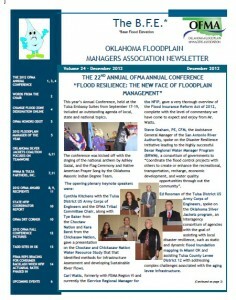 In addition to the OWRB, members of the evolving Oklahoma SJ Team include the US Army Corps of Engineers, the Federal Emergency Management Agency (FEMA), Oklahoma Department of Emergency Management, Tulsa’s city and county governments, Tulsa Drainage District #12, Oklahoma Floodplain Managers Association, Tulsa Partners, and the Natural Hazard Mitigation Association.